Bob Canton in his ordinary faithful Catholic life, experienced the life-changing Baptism of the Holy Spirit from the early days of his family's involvement in Catholic Charismatic Renewal. Bob learned how to grow as a disciple and moved in the charismatic gifts. 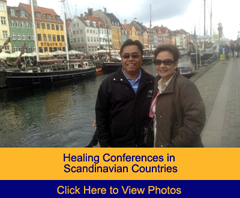 This subsequently led to him having an international ministry traveling to more than 50 countries, ministering through healing, deliverance and miracles. In this book, he encourages everyone in the Church to be opened to the Holy Spirit and to be a miracle worker in whatever area the Lord leads. This book manages very successfully to do several things. It is inspirational and faith building. 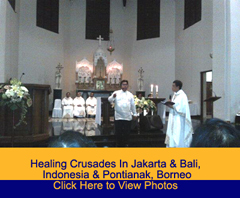 It also presents teachings about the healing ministry, particularly within the Catholic Church. 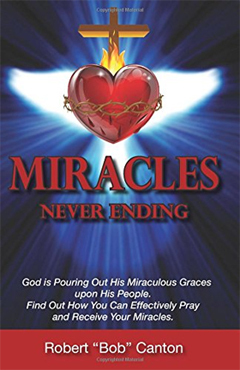 The final chapters share some of the fruits of the ministry of healing and miracles and include many moving personal testimonies of specific healings. Every person involved in the Charismatic Renewal should have a copy of this book in his/her library. It is a book that I personally have been waiting for, from a holy man who has been called to a mission of healing, teaching, and evangelization, and who has impacted me and my family through his healing rallies, evangelistic activities that he has brought to people all over the world. This book chronicles the experiences and adventures of a man who responded positively and in deep faith to the divine call "Whom shall I send?" It is autobiographical with respect to his "divine encounter" and his "calling." 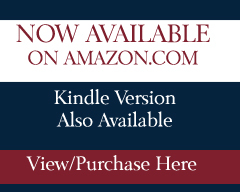 This book gathers together in one place all of the author's teachings on healing and on Jesus and the Holy Spirit. Believing that most, if not all, people can likewise bring healing through prayer, the author has included pages on "how to" pray for healing with samples of his prayers tailored to specific diseases. Most remarkable is the number and variety of testimonies of healing coming from grateful people all over the world and covering a wide variety of illnesses. Medical scientists might argue this book's definition of "healing" (which doctors might rather call "remission" or "survival rate"), but when a sick person claims and feels that he/she is "healed" and rejoices and thanks the Lord for it, that definition should be accepted. And this book is full of such testimonies. Reading through this book will awaken in the reader the belief that indeed Jesus is alive – in history, in the present, and way into the future. Click Here for Photo #1. Click Here for Photo #2. Bob Canton waved one hand over his audience. "How many of you have raised the dead?" he asked. As 1,300 people looked back at him, the church was silent except for a few nervous chuckles. "That," Canton said after an uncomfortable pause, "is why the dead stay dead." Canton was smiling, but he wasn't kidding. The 66-year-old Catholic lay preacher wants everybody to know that the same Jesus who healed the sick and raised the dead 2,000 years ago will do the same today, if only we will take him seriously. One of the volunteers was Carol Jones of Kelowna, who was co-emcee for the event. 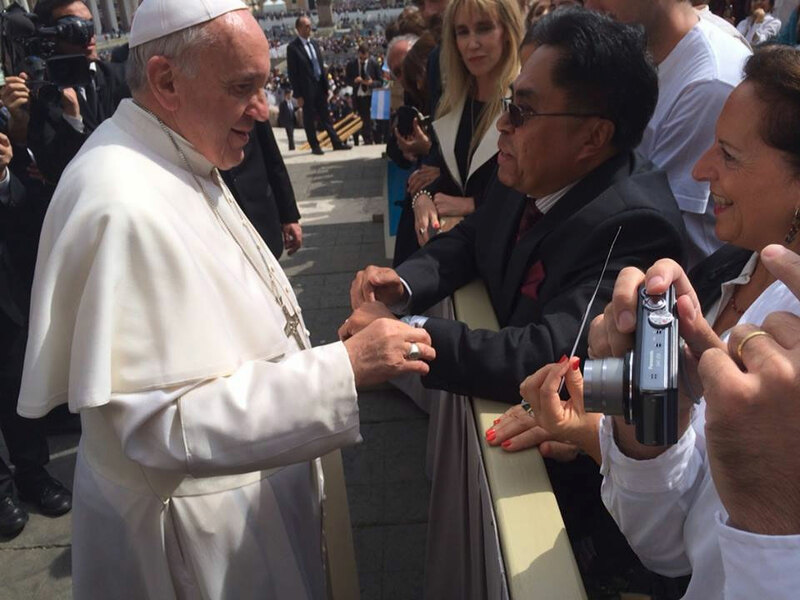 She watched as Healy prayed for a woman in a wheelchair. The woman's daughter said radiation for bone cancer had given her a spinal fracture. "She stood up out of the wheelchair and walked, assisted by Dr. Healy," Jones said. "She wept as she continually said to her daughter and husband, ‘I can stand up straight again, I can stand up straight again!' She then proceeded to walk a ways up the aisle and back again, alternating between smiles and tears of joy." Others left canes or walkers behind as they walked the aisles of the church. Canton prayed over one woman who asked to be healed of blindness; then he stepped back and asked her to mimic a series of his hand movements. Her gestures, near-perfect mirror images, were visible all over the church. Canton also took hearing aids out of people's ears and spoke to them in a low voice, getting them to repeat his words. Canton was born in the Philippines but came to the United States in 1973 and now lives in Stockton, Calif. 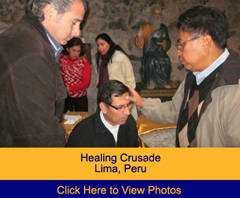 He was baptized in the Holy Spirit – the crucial experience in the charismatic renewal – in 1984, and has had a travelling healing ministry since 1990, visiting 51 countries. 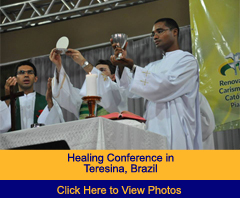 But he's careful to say who really does the healings: "I am not a healer," he told the conference. "I only pray for healing, and leave the result to the Lord." He devoted most of his talks to ways of eliminating all the factors that block the success of prayer for healing, ranging from unforgiveness to sinful lifestyles to superstitions and occult practices. He also said we need to take care of our health in the normal, common-sense way in addition to praying for healing; otherwise, "we can pray until the cows come home." Healy, a professor at Sacred Heart Major Seminary in Detroit and a member of the Pontifical Biblical Commission, also spoke on healing. "Jesus is alive, and he's here to heal us and deliver us," she said, and we are commissioned by him to do the same. "It's kind of astounding how we have neglected and passed over this element in the mission of Our Lord." She said the current crisis of sexual abuse in the Church is part of that healing process and is like bringing cockroaches into the light: "He (Jesus) is allowing that darkness to come to light so that it can be healed." Archbishop Michael Miller celebrated the concluding Mass and thanked the charismatic prayer groups of the archdiocese for their faithful witness to the Gospel. "You affirm the primacy of God in all things," he said. "Thank you for speaking to others of that great friendship (with Jesus.)" 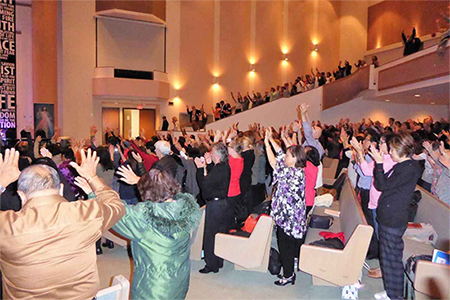 There are more than two dozen charismatic prayer groups in parishes throughout the Archdiocese of Vancouver and about 20 spread across the province's other four dioceses. For more information visit the Vancouver website vccrs.ca or the B.C. website, bccharismatic.ca. In Acts 10:38, God's words say, "How God anointed Jesus of Nazareth with the Holy Spirit and power, who went about doing good and healing all those who were oppressed by the devil for God was with Him." The same Jesus who healed people over 2,000 yeas ago is still in the healing healing business until now through the power of the Holy Spirit. Jesus is alive and He loves His people with an everlasting love. "He is the same yesterday, today, and forever!"-Heb. 13:8. In Mark 10:46-52, we read, "Then they came to Jericho. And as He was leaving Jericho with His disciples and a sizable crowd, a blind beggar named Bartimaeus, the son of Timaeus, was sitting by the roadside. When he heard that it was Jesus of Nazareth, he began to cry out and say, "Jesus, Son of David, have mercy on me. And many rebuked him, telling him to be silent.But he kept crying all the more, Son of David, have pity on me!" And Jesus stopped and said, "Call him here." So they called the blind man, saying to him, "Take courage, get up! He is calling you." Throwing aside his cloak, he jumped up and came to Jesus. Jesus said to him in reply, " What do you want me to do for you?" And the blind man replied to Him,"Master, I want to see!" And Jesus said to him, "Go your way; your faith has saved you." Immediately, he received his sight and followed Him on the way." Anyone who came to Jesus for healing, He healed them. He is a God full of compassion for His people. 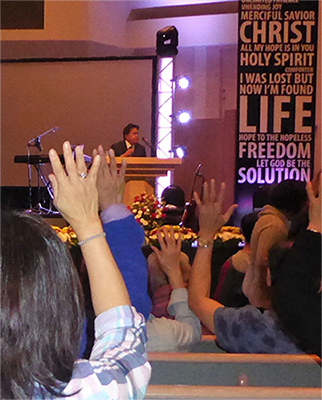 Last April 2018, I had the privilege to speak and to minister during the Hispanic Catholic Charismatic Conference near Portland, Oregon. As I was about to exit from the Auditorium where the Conference was held, a family came up to me and asked me if I could pray for a young girl who was with them. The husband and wife told me that their daughter, Lupe was blind in one eye and she had also been deaf mute since birth. They told me that she is 17 years old. I laid hands on Lupe and I commanded her blind eye to see in the mighty Name of Jesus. I asked the Lord Jesus to apply His precious blood in her blind eye. I also rebuked the deaf-mute spirit to go from her in Jesus' Name and commanded her to hear and to speak in the precious Name of Jesus through the power of the Holy Spirit. Lupe was able to see on both eyes and to hear and to speak for the first time in her life. The entire family was jumping up and down, praising God! !I'm sure, Jesus, the Divine Healer, was glorified through Lupe's healing. In mid August 2018, I spoke and conducted a Healing Service during the West Virginia Catholic Charismatic Convention in Charleston, West Virginia. There was a 6-year old boy who had been legally blind on his left eye since birth. His name is Aiden. Aiden's mother, Lindsay, told me that Aiden had almost no vision in his left eye. His vision in his left eye was 20/300. Aiden had no depth perception. His doctor told Lindsay that Aiden had to wear eyeglasses for the rest of his life. We prayed over Aiden and I asked the Lord Jesus to open his left eye. I prayed a "build up" prayer for him, meaning I asked the Lord Jesus to grant Aiden brand new lenses, brand new pupils, brand new cornea, brand new optic nerves, brand new inner eye. Afterwards, I asked Aiden to cover his right eye tightly with his right hand while I kept a distance from him. Then, I asked him to follow the movements of my hands to test his eyesight. He was able to follow every movement of my hands that I made. Aiden's grandmother took him to his eye doctor two days later to have his vision checked to confirm his healing. She told the doctor about what happened to Aiden two days before, that Aiden was prayed over during the Catholic Charismatic Conference and that Aiden was able to see in his left eye. The doctor told them after he checked Aiden's left eye that his vision had improved to 20/20 with glasses and 20/25 without glasses. Furthermore, the doctor told them that, after 3 months, he feels Aiden may not need to wear glasses ever again.! The doctor also explained to Aiden that he believes that God heals and that He uses people in the healing ministry as well as doctors to assist Him to heal people. Praise God! The doctor believes in the Healing power of the Divine Physician! Over and over again, I witness signs and wonders, healings and miracles in Jesus' Name through the power of the Holy Spirit. Over 70% of Jesus' ministry while He was still walking on this earth was spent on healing the sick. Jesus healed His people by the power of the Holy Spirit. The ministry of Jesus while He was still walking on this earth, primarily the healings and miracles, were attributable more on the result of the power of the Holy Spirit in Him and were not so much on His Divine Nature. Jesus was fully God and fully man, but in His humanity, He had to rely on the power of the Holy Spirit to do what He did. In Luke 4:14-15, we read, " And Jesus returned in the power of the Holy Spirit into Galilee, and report concerning Him went out through the surrounding country. And He taught in their synagogues, being glorified by all." "But I tell you the truth, it is to your advantage that I go away, for if I do not go away, the Helper will not come to you; but if I go, I will send Him to you." Here, Jesus was of course, referring to the Holy Spirit. Everyday, I always ask the Lord Jesus to guide me and to fill me with His Holy Spirit. I ask Him to empower me always so that I can do the works that He wants me to do through Him, because without Him, I can do nothing at all. In Luke 11:13, Jesus says, "If you then, being evil, know how to give good gifts to your children, how much more will your Heavenly Father give the Holy Spirit to those who ask Him?" Come, Holy Spirit, come and enkindle in us the power of your love.!!! Good afternoon and welcome. May the water also be blessed because the Lord made it. 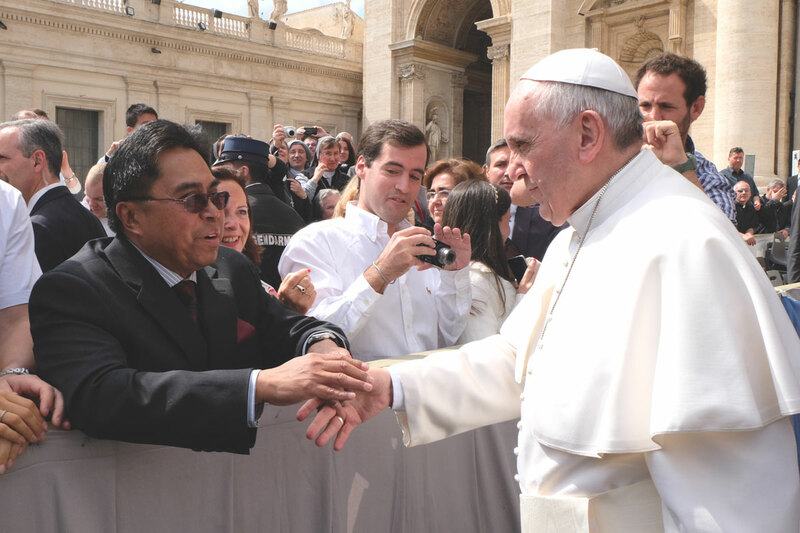 I appreciate very much your response to my invitation made in the month of January to meet here in Saint Peter's Square. Thank you for this enthusiastic and warm response. 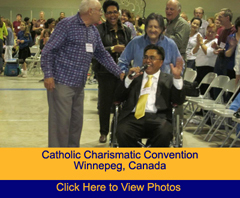 Last year in the Stadium I shared with all those present some reflections that I would like to recall today -- because it is always good to recall the memory --: the identity of Catholic Charismatic Renewal, from which the Association Renewal in the Spirit was born. I will do so with the words of Cardinal Leon-Joseph Suenens, great protector of Charismatic Renewal, as he describes it in the second book of his Memoirs. In the first place he recalls the extraordinary figure of a woman who did so much at the beginning of Charismatic Renewal; she was his collaborator who also enjoyed the trust and affection of Pope Paul VI. I am referring to Veronica O'Brien: she was the one who asked the Cardinal to go to the United States to see what was happening, to see with his eyes what she considered the work of the Holy Spirit. It was then that Cardinal Suenens got to know Charismatic Renewal, which he described as a "flow of grace," and he was the key person to maintain it in the Church. In the Mass of Pentecost Monday in 1975, Pope Paul VI thanked him with these words: "In the name of the Lord I thank you for having brought Charismatic Renewal into the heart of the Church." It is not a novelty of some years ago; Charismatic Renewal has a long history and in the homily of that Mass itself, the Cardinal said: "May Charismatic Renewal be able to disappear as such and be transformed into a Pentecostal grace for the whole Church: to be faithful to its origin, the river must be lost in the ocean." The river must be lost in the ocean. Yes, if the river stops the water becomes stagnant; if the Renewal, this current of grace does not end in the ocean of God, in the love of God, it works for itself and this is not of Jesus Christ, this is of the Evil One, of the Father of lies. The Renewal comes from God and goes to God. Paul VI blessed this. The Cardinal continued saying: "The first error that must be avoided is to include Charismatic Renewal in the category of Movement. It is not a specific Movement; the Renewal is not a Movement in the common sociological sense; it does not have founders, it is not homogeneous and it includes a great variety of realities; it is a current of grace, a renewing breath of the Spirit for all the members of the Church, laymen, Religious, priests and Bishops. It is a challenge for us all. One does not form part of the Renewal, rather, the Renewal becomes a part of us provided that we accept the grace it offers us." Here Cardinal Suenens talks of the sovereign work of the Spirit, who without human founders aroused the current of grace in 1967. Men and women renewed that, after having received the grace of Baptism in the Spirit, as fruit of this grace gave life to Associations, Covenant Communities, schools of formation, schools of evangelization, Religious Congregations, Ecumenical Communities, Communities of help to the poor and the needy. I myself went to the community of Kkottongnae, during my trip to Korea, and I also visited the Philippines. 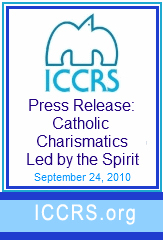 This current of grace has two international organizations recognized by the Holy See that are at its service and at the service of all its expressions throughout the world: "ICCRS" and "Catholic Fraternity." This is somewhat the history, the root. Last year at the Stadium I spoke also of unity in diversity. I gave the example of an orchestra. In Evangelii gaudium I spoke of the sphere and of the polyhedron. It is not enough to speak of unity, it is not any sort of unity. It is not uniformity. Said thus it can be understood as the unity of a sphere where every point is equidistant from the center and there are no differences between one point and another. The model is the polyhedron, which reflects the confluence of all the parts that maintain their originality in it and these are the charisms, in unity but in their own diversity -- unity in diversity. The distinction is important because we are speaking of the work of the Holy Spirit, not ours. Unity in the diversity of expressions of reality, as many as the Holy Spirit wills to arouse. It is also necessary to remember that the whole, namely, this unity, is greater than the part, and the part cannot attribute the whole to itself. For instance, one cannot say: "We are the current called Catholic Charismatic Renewal and you are not." This cannot be said. Please, brothers, it is thus; it does not come from the Spirit; the Holy Spirit breathes where He wills, when He will and as He wills -- unity in diversity and in the truth that is Jesus himself. What is the common sign of those who are reborn of this current of grace? To become new men and women, this is Baptism in the Spirit. I ask you to read John 3, verses 7-8: Jesus to Nicodemus, rebirth in the Spirit. There is another point that it is very important to clarify in this current of grace: those who guide. Dear brothers and sisters, there is a great temptation for the leaders -- I repeat, I prefer the term servants, those who serve -- and this temptation for the servers comes from the devil, the temptation to believe they are indispensable, no matter what the task is. The devil leads them to believe they are the ones that command, who are at the center and thus, step by step, they slip into authoritarianism, into personalism and do not let the renewed Community live in the Spirit. This temptation is such as to make "eternal" the position of those who consider themselves irreplaceable, a position that always has some form of power or dominance over others. This is clear to us: the only irreplaceable one in the Church is the Holy Spirit, and Jesus is the only Lord. I ask you: who is the only irreplaceable one in the Church? [The Square: the Holy Spirit!] And who is the only Lord? [The Square: Jesus!] We say that the Lord Jesus is the Lord, we praise Jesus, loudly! Jesus is the Lord! There are no others. There have been sad cases in this connection. There must be a limited time to posts, which in reality are services. An important service of leaders, of lay leaders, is to make those who will take their place at the end of their service grow and mature spiritually and in a pastoral way. It is appropriate that all service in the Church have an expiry date; there are no lifelong leaders in the Church. This happens in some countries where there is dictatorship. "Learn from me, for I am meek and humble of hearty," says Jesus. This temptation, which is from the devil, makes one go from servant to boss, one seizes a Community, a group. This temptation also makes one slide into vanity. And there are so many people -- we have heard these two testimonies, of the couple and Hugo's -- how many temptations lead to making a Community suffer and impede doing good, and become an organization as an NGO; and power leads us – excuse me but I will say it: how many leaders become vain persons? -- power leads to vanity! And then one feels one can do anything, and then one slides in matters, because the devil always enters by the pocketbook: this is the devil's entrance door. Something else are the founders who received from the Holy Spirit the charism of foundation. Because they received it, they have the obligation to look after it, making it mature in their Communities and Associations. The founders remain as such for life, namely, they are the ones that inspire, that give inspiration, but let the thing go forward. In Buenos Aires I knew a good founder, who at a certain point became the adviser, and let others become the leaders. This current of grace leads us forward in a path of the Church that in Italy has borne much fruit, I thank you. I encourage you to go forward. In particular, I ask you for your important contribution to be committed to share with all in the Church the Baptism you have received. You have lived this experience; share it in the Church. And this is the most important service – the most important that can be given to everyone in the Church. To help the People of God in their personal encounter with Jesus Christ, who changes us into new men and women, in little groups, humble but effective, because it is the Spirit that works. Do not look so much at having great gatherings which often end there, but to "crafted" relations stemming from witness, in the family, at work, in social life, in parishes, in prayer groups, with all! And here I ask you to take the initiative to create bonds of trust and cooperation with the Bishops, who have the pastoral responsibility to guide the Body of Christ, including Charismatic Renewal. Begin to take the necessary initiatives so that all the Italian charismatic realities born of the current of grace, can bind themselves with these bonds of trust and cooperation directly with their Bishops, there where they are. There is another strong sign of the Spirit in Charismatic Renewal: the search for unity of the Body of Christ. You, Charismatics, have a special grace to pray and work for Christian unity, because the current of grace goes through all the Christian Churches. Christian unity is the work of the Holy Spirit and we must pray together -- spiritual ecumenism, the ecumenism of prayer. "But, Father, can I pray with an Evangelical, with an Orthodox, with a Lutheran?" – "You must, you must! You have received the same Baptism." We have all received the same Baptism; we are all going on Jesus' way, we want Jesus. We have all made these divisions in history, for so many reasons, but not good ones. But now, in fact, is the time in which the Spirit makes us think that these divisions are not on, that these divisions are a counter-testimony, and we must do everything to go together: spiritual ecumenism, the ecumenisms of prayer, the ecumenism of work, but of charity at the same time; the ecumenism of the reading of the Bible together ... To go together towards unity. "But Father, do we have to sign a document for this?" – "But allow yourself to be carried forward by the Holy Spirit: pray, work, love and then the Spirit will do the rest!" This current of grace goes across all the Christian Confessions, all of us who believe in Christ – unity first of all in prayer. Work for Christian unity begins with prayer. Pray together. [There must be] unity, because the blood of today's martyrs makes us one. There is the ecumenism of blood. We know that when those who hate Jesus Christ kill a Christian, before killing him, they do not ask him: "Are you Lutheran, are you Orthodox, are you Evangelical, are you Baptist, are you Methodist?" You are Christian! And they sever the head. They are not confused; they know there is a root there, which gives life to all of us and which is called Jesus Christ, and that it is the Holy Spirit that leads us to unity! Those who hate Jesus Christ led by the Evil One do not make a mistake. They know and therefore kill without asking questions. And this is something that I entrust to you, perhaps I have already told you this, but it is a true story. It is a true story. In Hamburg, a city of Germany, there was a parish priest who studied the writings to carry forward the Beatification of a priest killed by Nazism, guillotined. The reason: he taught children the catechism. And, while he studied, he discovered that after him, five minutes later, a Lutheran pastor was guillotined for the same reason. And the blood of both was mixed: both were martyrs, both were martyrs. It is the ecumenism of blood. If the enemy unites us in death, who are we to be divided in life? Let us allow the Spirit to enter, let us pray to go forward all together. "But there are differences!" Let us leave them to one side; let us walk with what we have in common, which is enough: there is the Holy Trinity; there is Baptism. Let us go forward in the strength of the Holy Spirit. A few months ago, there were those 23 Egyptians who were also beheaded on the beach of Libya, and in that moment they said Jesus' name. "But they were not Catholics ..." But they are Christians, they are brothers, they are our martyrs! -- the ecumenism of blood. Fifty years ago, in the Canonization of the young martyrs of Uganda, Blessed Paul VI made reference to the fact that their Anglican catechist companions also shed their blood for the same reason; they were Christians, they were martyrs. Excuse me, do not be scandalized, they are our martyrs! Because they gave their life for Christ and this is the ecumenism of blood -- pray remembering our common martyrs. 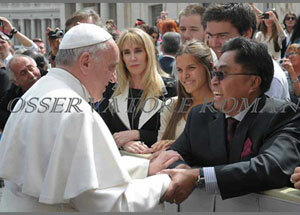 Unity in working together for the poor and the needy, who are also in need of the Baptism of the Holy Spirit. It would be very good to organize seminars of life in the Spirit, together with other Christian Charismatic realities, for brothers and sisters that live on the street: they also have the Spirit within that pushes them, so that someone outside will open wide the door. It seems that the rain has stopped. The heat has finished. The Lord is good, first he gives us heat, then a good shower! He is with us. Let yourselves to be guided by the Holy Spirit, by this current of grace, which goes forward always in search of unity. No one is the boss. There is only one Lord. Who is it? [The Square: "Jesus!"] Jesus is the Lord! 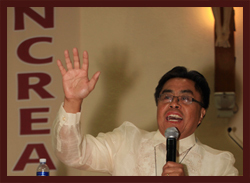 I remind you: Charismatic Renewal is a Pentecostal grace for the whole Church. Agreed? [The Square: "Yes!"] If someone does not agree, raise your hand! Unity in the diversity of the Spirit, not any unity -- the sphere and the polyhedron -- remember this well, the common experience of Baptism in the Holy Spirit and the fraternal and direct bond with the diocesan Bishop, because the whole is greater than the part. Then, unity in the Body of Christ: pray together with other Christians, work together with other Christians for the poor and the needy. We all have the same Baptism. Organize seminars of life in the Spirit for brothers that live on the street, also for brothers marginalized by so many sufferings of life. I permit myself to recall Hugo's witness. The Lord called him precisely because the Holy Spirit made him see the joy of following Jesus. Organize seminars of life in the Holy Spirit for people that live on the street. And then, if the Lord gives us life, I expect you all together at the meeting of the ICCRS and of Catholic Fraternity, which are already organizing it, all of you and all those who wish to come at Pentecost in 2017 -- it is not so far away! -- here in Saint Peter's Square to celebrate the Golden Jubilee of this current of grace -- an opportunity for the Church, as Blessed Paul VI said in Saint Peter's Basilica in 1975. We will gather to give thanks to the Holy Spirit for the gift of this current of grace, which is for the Church and for the world, and to celebrate the wonders that the Holy Spirit has done in the course of these 50 years, changing the life of millions of Christians. And with Bibles, with the Word of God, go, preach the novelty that Jesus has given us. Preach to the poor, to the marginalized, to the blind, to the sick, to the imprisoned, to all men and women. The Spirit is within every one, who wishes to be helped to open wide the door to make him flourish again. May the Lord accompany you in this mission, always with the Bible in hand, always with the Gospel in your pocket, with the Word of Christ.